This is a continuation of last week’s blog post, which began my conversation with Michael Scott, the father of GAP analysis. Between America’s national parks, national forests, and other zones of “rock and ice,” lie the fertile mountain valleys and migration corridors that are almost exclusively privately held. Mike says, “Don’t get me wrong. Rocks and ice are increasingly important in an era of climate change, as high elevation refugia. But we don’t have a protection system that captures the full geographical, ecological, and geophysical range of species. “The most important tool we have for saving species in an era of climate change is the species’ own ability to adapt and evolve in response to changing conditions. If a widespread species can find refuge in only one area across its range, then that’s only one opportunity to adapt and evolve.” Nature rewards redundancy. The state wildlife action plans now put more emphasis on keeping common species common, and GAP analysis is in wide use. The challenge today, Mike says, is in implementation: getting enough partners, engaging the private sector in a way that’s consistent with the business model and with maintaining biodiversity. “Multi-state efforts are the partnerships that work,” Mike says. Barbecue Conservation? It’s Worked Before! “Private landowners have to make a living. If we continue to fragment the landscape and take land out of ranching and farming because they can no longer sustain a family, we’ll see more housing development in prime habitat and more barricades to migration. But where people are working together, we’re also seeing the reverse of that: barbed wire fences are coming down in Lava Lake and Craters of the Moon (Oregon and Idaho) to provide easier movement to pronghorn antelope!" "Seven or Eight Species I’ve Known, Gone from the Planet"
“We’re in a transition period in which we’re seeing dramatic changes in economic models and the environment. You know when the biggest growth in the National Wildlife Refuge System occurred? It began in 1934, during the intersection of the Great Depression and the Dust Bowl. Roosevelt worked with folks and put significant federal investments into the purchase of marginal agricultural land for Refuges, as well as the Civilian Conservation Corps for putting rural populations back to work restoring land. “Those programs worked by finding the intersection of conservation and economic interests. The question is, where is that intersection today? Is it in coastal areas facing some of the greatest threats from sea level rise, storm surge, and loss of marshes and oceanfront property? Is it in non-native species? I think we have a huge opportunity, but the threat is not trivial. Seven or eight of the species I worked with in Hawaii are no longer on this planet. That’s a pretty tough challenge." Mike is very eloquent. I’ll end by noting that the “GAP” - the lack of protection - in his originally envisioned analyses, is now the “matrix” that holds everything together. 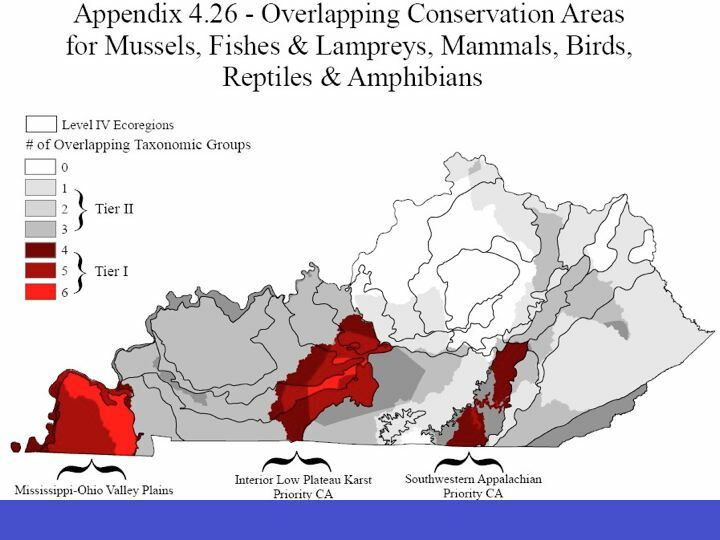 Mike’s GIS GAP work provides irrefutable, technical, spatial, and biological data on the overwhelming importance of private lands for protecting biological diversity in the U.S. There are a lot of people working on private land conservation. But it’s still an uphill battle against the demographics of our aging land-owning public, and the economics of sprawl, which gobbles up farm and forest open spaces. We have a compelling challenge on our hands, and we neglect the private land matrix at our own peril.